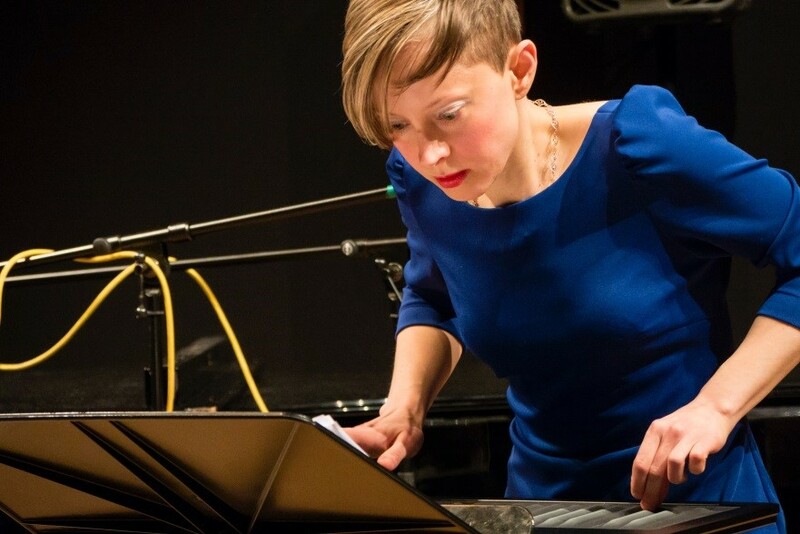 During July, the School of Music is delighted to host internationally renowned performer Xenia Pestova. Xenia will be taking part in a number of events while she is here including New Music Central, the School of Music’s weekly concert series. During this concert Xenia will be performing works by UC Head of School of Music, Glenda Keam, as well as other internationally celebrated composers Ed Bennett & Miriama Young. Xenia appears at UC courtesy of Chamber Music NZ, she is currently touring with Chamber Music New Zealand as part of their 2017 Encompass Series. This will be the premiere performance of Glenda’s work, ‘Mind Springs’. The initial images that preceded the composition of ‘Mind Springs’ work were of water springing and bubbling from the ground, and New Zealand’s geysers with their accompanying babbling flow of mineral-laden water that over time build sinter structures and pathways. But as the piece took form it became clear this was not made of bold, grand explosions but rather a more contemplative series of leaps that were inward-looking. Another work in the programme, by Miriama Young, invites the audience to engage with the electronic part for the piece, which can be streamed during the concert performance via an interactive smartphone app. The App with its embedded audio is available for free download from the iOS App Store or Google Pay, by searching for ‘SyncSound’. Once downloaded, follow the downbeat of the pianist to press ‘play’. The downloading and use of this app during the concert is entirely voluntary. Recital Room UC Arts, The Arts Centre of Christchurch, 3 Hereford Street. Watch Xenia performing Chaandanee (Egidija Medeksaite). Previous PostRecipe: Delicious Winter warmerNext PostUC receives Carbon Management Recognition Award!